I would like to have Terra cremated, and will be holding a memorial service later this month to honor her amazing life. I'm hoping to raise enough money to cover the cost of her cremation. Terra Weatherfield Derderian has left us. She spent the last seven years with me, living in Albuquerque, Taos, and Aspen. Her adventures have been meticulously photographed and shared. 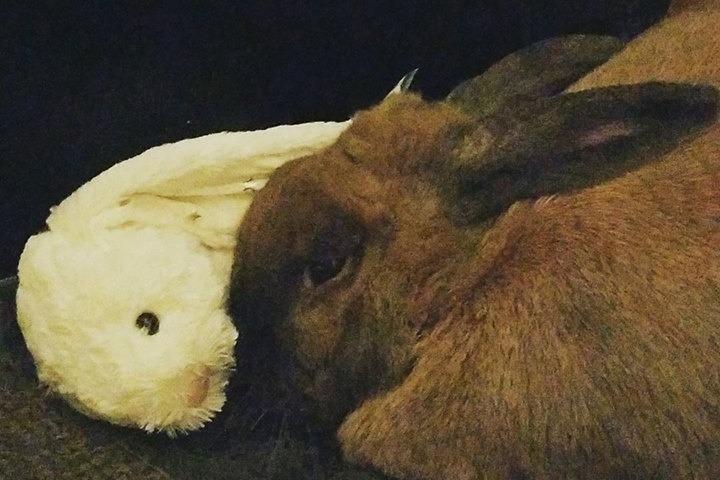 She touched a lot of lives, especially in her bookstore bunny adventures. 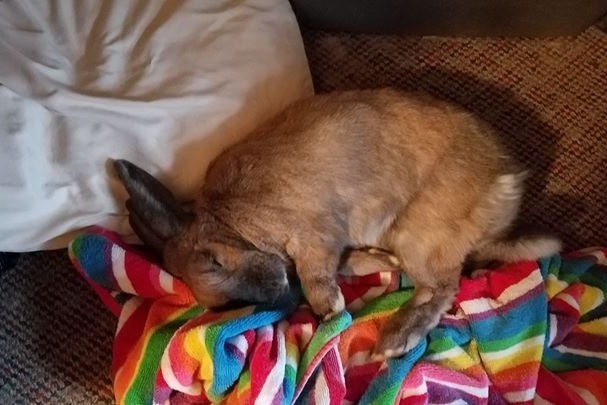 She participated in Kids' Story Times, and made special Easter appearances to encourage people to enjoy a bunny on Easter without commiting to buying a rabbit themselves. 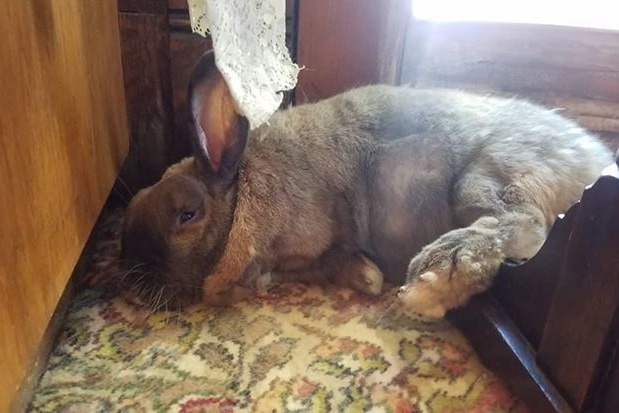 She spent a lot of time in our History room at the bookstore, and could be found by customers (sometimes surprised and sometimes expecting her) sunbathing under the window. She had a knack for kicking back and relaxing. She was sassy and full of love. 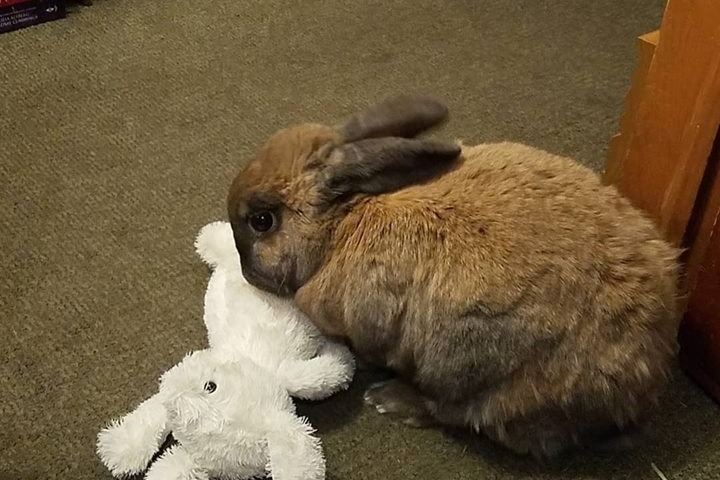 We often referred to her as our therapy bunny, because she had a way of helping people find their happiness. She will be missed by many of the people whose lives she touched. By my best guess, based on the information the shelter gave me, she was 14 years old. I adopted her from the Albuquerque Pet Shelter seven years ago this month, and she has had a wonderful life since then. There aren't many bookstore bunnies in this world, and she enjoyed her time working in Explore.